HERE ARE PHOTOS of Saint John the Evangelist Church, located in the historic town of Paducah, in the western part of the Commonwealth of Kentucky. It is about 180 highway miles southeast of downtown Saint Louis, and is a part of the Diocese of Owensboro. The town of Paducah was named by famed explorer William Clark after the Comanche tribe, then known by some other tribes as the Padoucas. I visited Paducah a while back because I was accompanying a lady friend who wanted see the National Quilt Museum, located in that town near the riverfront. I will give a few thoughts on the museum on another posting. The church is Gothic revival, in the manner of the late Gothic style. 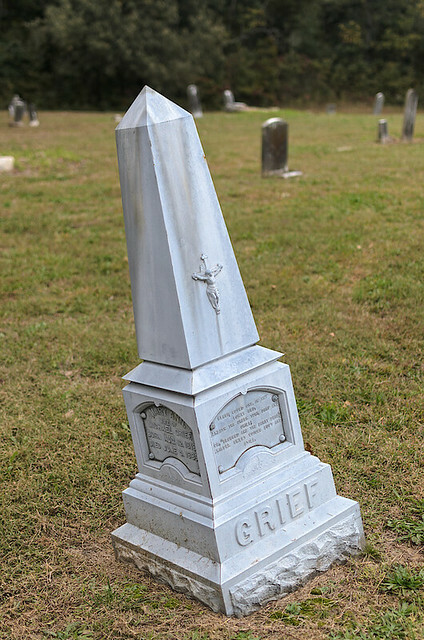 The Dioecesis Owensburgensis was erected in 1937 from land taken from the Diocese of Louisville, and its current ordinary is Bishop William Francis Medley. 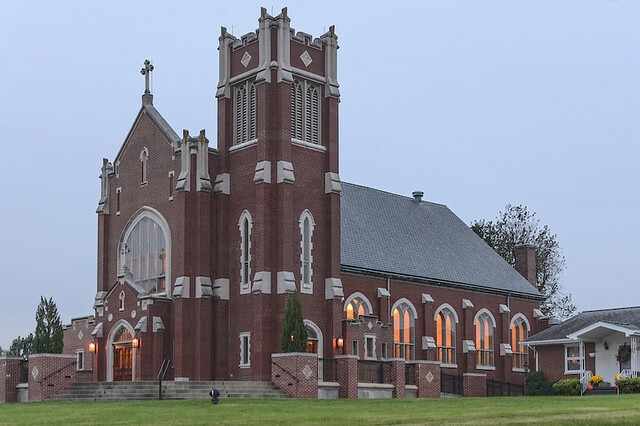 This diocese, along with the dioceses of Covington, Knoxville, Lexington, Memphis, and Nashville, is suffragan to the Archdiocese of Louisville — originally the Diocese of Bardstown. This is the Church in Tennessee and Kentucky. The nave of the church. Musicians are seen here preparing for Holy Mass. 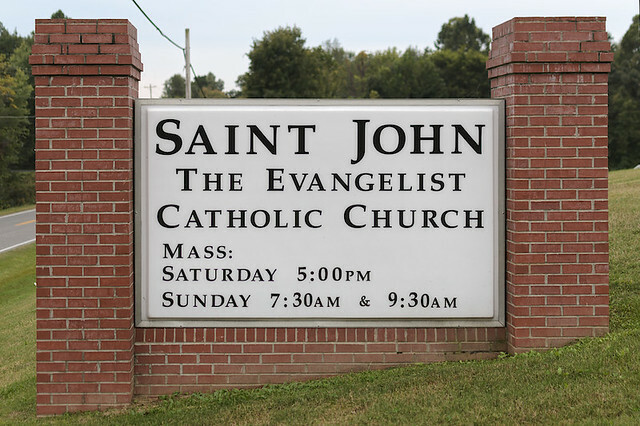 St. John the Evangelist Catholic Church was founded in 1839 by a group of German Catholic immigrants who had settled in Western Kentucky several years earlier. These first parishioners were visited by Fr. Elisha J. Durbin who had been assigned the missions throughout the territory that today make up the diocese of Owensboro. Fr. 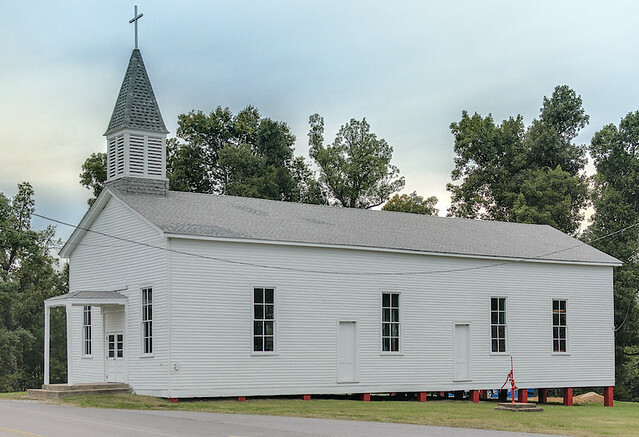 Durbin’s headquarters was at Sacred Heart Church, in Union County, Kentucky and his missionary duties took him to several surrounding states. 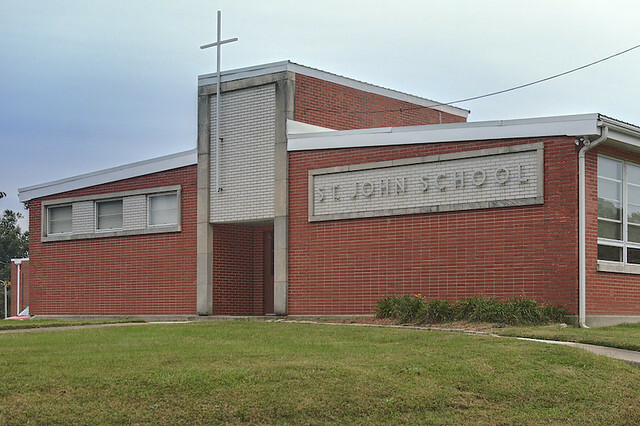 Accordingly, the privilege of Mass and the Sacraments was not available to the people of the St. John community on a regular basis for some time. The first church, a log building, was raised by the parishioners under the direction of Fr. Durbin around 1849. The log church burned and was replaced by a larger frame structure in 1869 under the direction of Fr. Peter Haeseley. 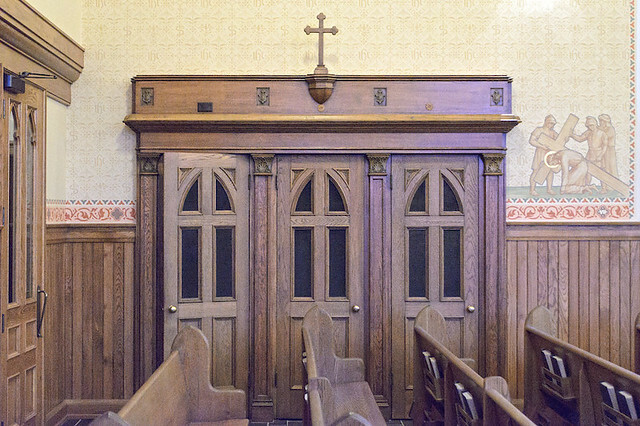 The frame church was used for sixty-three years, until the construction of the present church building in 1932-1933 during the pastorate of Fr. Paul Barrett. All three churches were located on the same site. 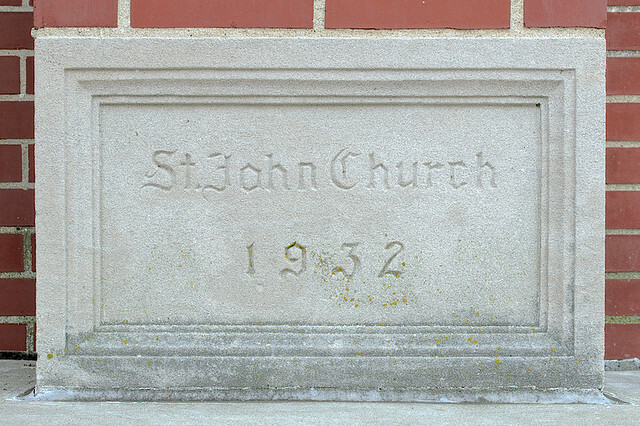 Few changes occurred to our church since 1933. The main update occurred in the 1960’s following Vatican II which included the removal of the tall canopy and the high altar. In 2003, with guidance from Fr. 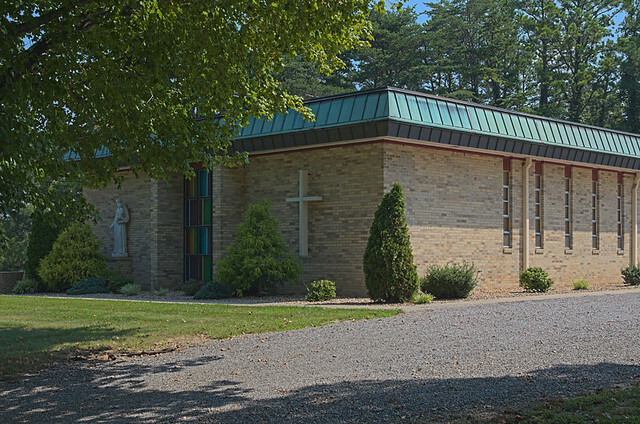 Bruce McCarty, the parish undertook a general renovation project consisting of substantial exterior and interior repairs and a general updating of building systems. 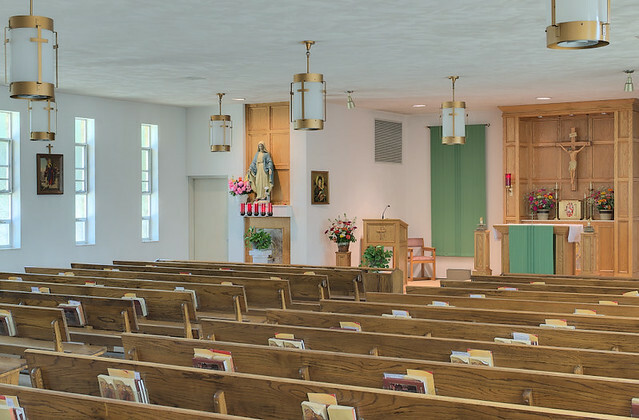 It also included the construction of an addition to include handicapped accessible restrooms, a reconciliation room and sacristy. 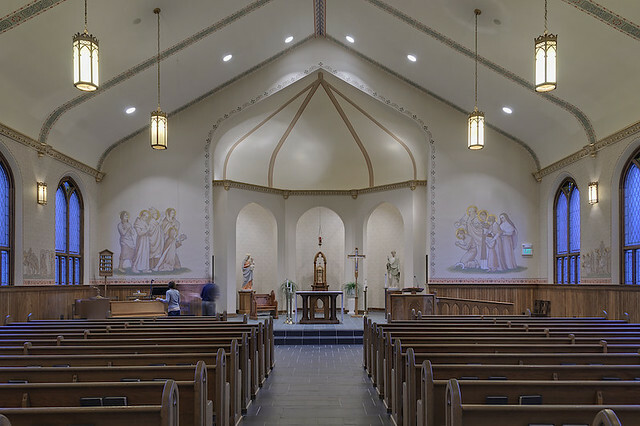 A concerted effort was made to maintain and enhance the architectural and artistic integrity of the structure while bringing it in line with the liturgical needs of a 21st century parish. On February 19, 2006, a Mass of Thanksgiving and Dedication of Altar was held with The Most Reverend John J. McRaith, Bishop of Owensboro, as celebrant. 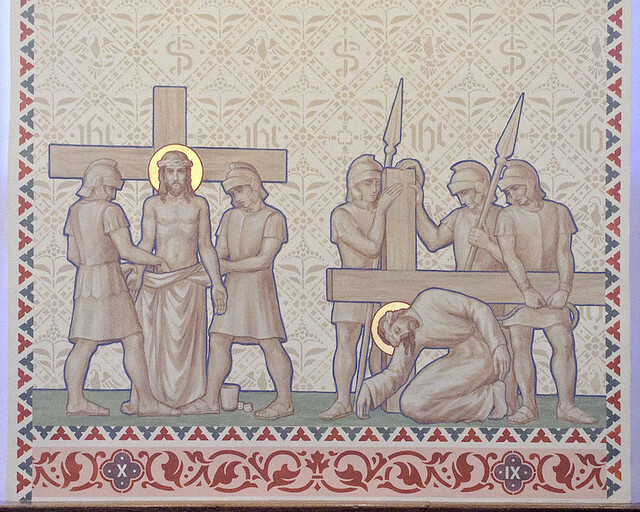 Two of the Stations of the Cross — Jesus Falls the Third Time on the right, and Jesus is Stripped of His Garments on the left. Ornamentation in architecture has been largely a lost art since the popularization of the ideas found in Adolf Loos’ lecture of 1910, Ornament and Crime, where he claimed that the ornamentation of architecture was like the tattoos on degenerates and criminals of his age. But there is little that we need to take from the polemic of that “grumpy Marxist” other than his observation that ornament can make a building obsolete faster, as it goes out of style. True — what’s “up-to-date” is soon out-of-date — but if good taste and classic styling is used, then we needn’t worry about something going out of style any time soon — for it already is of the ages. 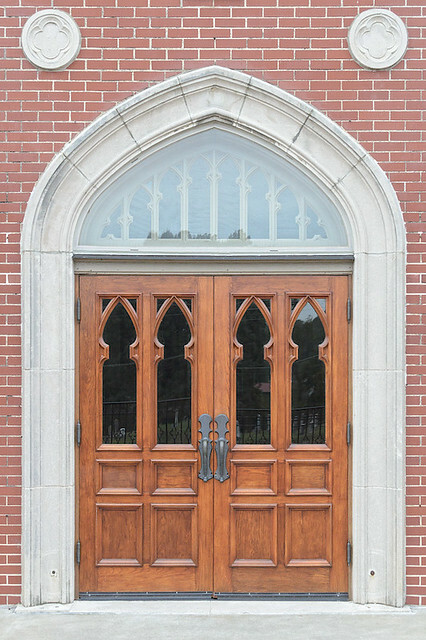 This is the aim of the new American school of ecclesiastical architecture, coming out of the University of Notre Dame. I particularly like the simple yet symbolic ornament depicted in this photo, behind the figures of Christ. We see a serpent and a sword, symbolizing the two failed martyrdoms of Saint John, who unlike all of the other Apostles lived to a ripe old age. We also see St. John’s symbol of the eagle, the Greek monogram for Christ, ιηϲ, and some vegetative ornament. The blue light of dusk, mixed with the fluorescent lighting inside of the church confused my camera, as we can see in the photo of the nave above. 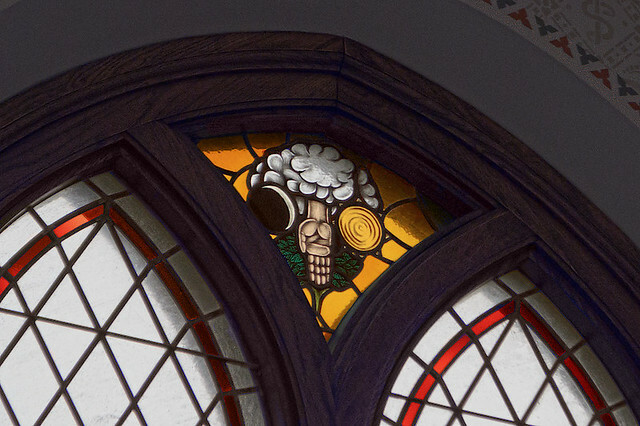 Here I color-corrected this window to make it appear more natural. The windows here are largely simple — here we see some floral ornament along with a harp — a symbol of King David the Psalmist. A sculpture of Saint John in the narthex. 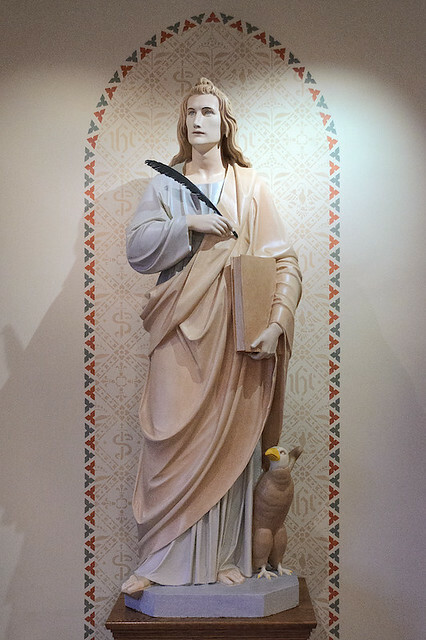 We see him here with a quill and book, symbolizing the Gospel he wrote; said Gospel is so full of soaring theology that the Fathers of the Church assigned him the symbol of the eagle. Artistic depictions of several of the Saints of the ancient church have distinctive facial features, which can be traced back to the earliest of sources. John is here depicted as a beardless youth. 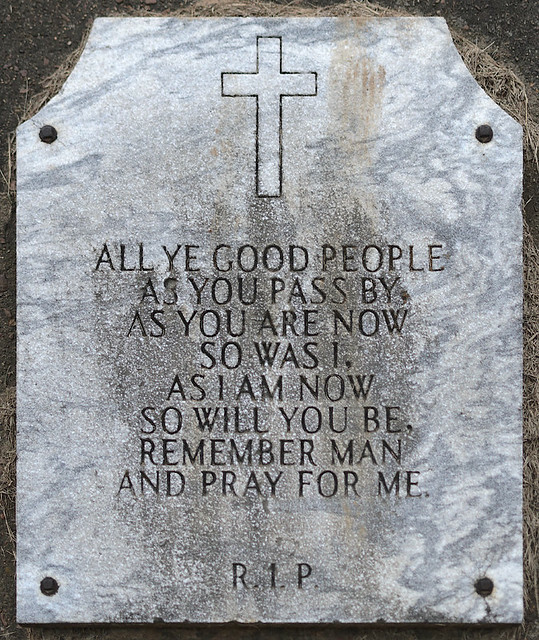 Two cemeteries are found outside of the church — this is from the older one, located across the street from the church. 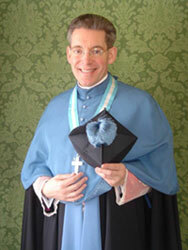 The Institute of Christ the King Sovereign Priest is dedicated to the Immaculate Conception. Every year the Prior General and the Superiors of the Institute’s Apostolates renew this act of dedication. As the Immaculate Conception is also the Patroness of the United States of America, it is most appropriate to prepare for her feast of the Immaculate Conception through a Novena. This is even more necessary and urgent as our country is in desperate need of her help and intercession. The Immaculate Conception of our Lady is the manifestation of God’s will to reestablish His order and to redeem us from sin, death and the devil through His Son, our Lord Jesus Christ. On each day of this Novena a Low Mass with organ will be celebrated which will be followed by the special Novena Prayer. Please plan to join us for the entire novena if you can. "The singing of the Church comes ultimately out of love. It is the utter depth of love that produces the singing. ‘Cantare amantis est’, says St. Augustine, singing belongs to one who loves.” Pope Emeritus Benedict XVI wrote this in The Spirit of the Liturgy. At the Gaudete Gala, we at St. Francis de Sales Oratory have an opportunity – for the third year in a row – to share through music the joy and love in our hearts with many friends and family. Gaudete Gala tickets went on sale last Sunday, and we urge everyone to invite your families, neighbors, co-workers, and friends to come this year. A fine evening with uplifting music, an excellent menu and other festivities awaits us in an elegant setting at the Millennium Hotel; it will be a perfect showcase for the extraordinary talents of our choirs. Call the Oratory office to buy your tickets to avoid last-minute disappointments. On behalf of our Prior General I offer you my deepest gratitude for the very large number of generous donations received in the semi-annual collection on the Feast of Christ the King for our international seminary of St. Philip Neri in Gricigliano, Italy. The total sum raised in the various apostolates of the Institute across the United States comes to $55,630. These funds are very helpful for the upkeep and restoration of the seminary buildings and facilities, which can now accommodate 71 seminarians. May Christ the King reward you abundantly for your sacrifice. The priestly fruits will not be long in coming. Last July, 10 men were ordained as deacons and 11 as subdeacons. A large group of Americans are among these seminarians who will soon be ordained to the holy priesthood. Please remember them in your prayers as they near the end of their seminary formation. Likewise, 16 men entered Gricigliano in September, including six who had successfully completed our pre-seminary program in the United States. Thank you very much for answering our appeal for support in the formation of so many good vocations in the service of the Church. All of our 85 total seminarians, including the 28 men from North America, pray daily for you and your intentions. 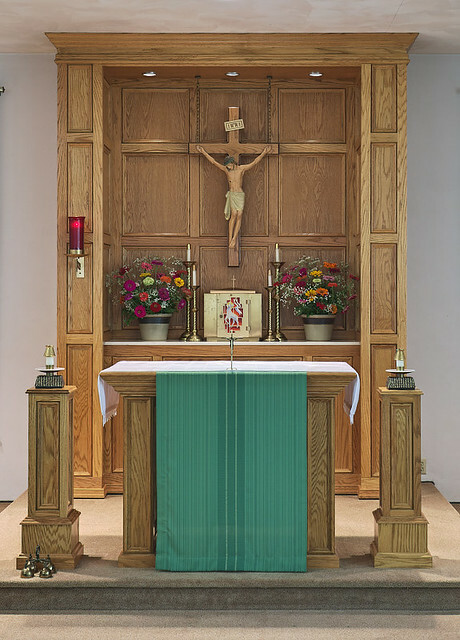 Holy Mass is frequently offered in our seminary chapel for our benefactors both living and deceased. On Sunday, November 17, a storm came through the St. Louis area and brought damaging winds. 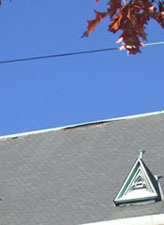 The Oratory campus experienced many slate roof tiles falling resulting in broken windows. 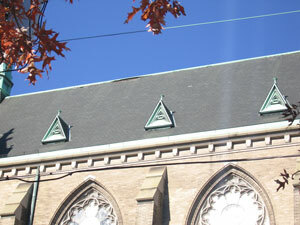 Several of our building roofs have missing and loose tiles and raised copper ridge caps. Damage to the interior of the sanctuary stained glass windows also resulted. An insurance claim has been filed and estimates have been requested from the steeple jack company that works on the high church steeple. The total damage from the storm is still being investigated. We were able to improve the night time security lighting at a couple campus locations due to the generosity of donated lighting fixtures from Butler Supply and the volunteer service of our two electricians, Gary Wnuk and Chris Petersen. 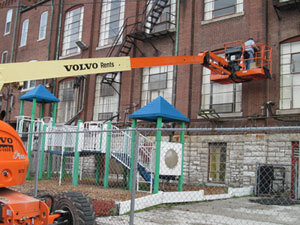 We had to rent a lift to access the locations at the lower parking lot and on the rear of the 1888 building. Adequate lighting is a good deterrent to safety and security problems. We are very grateful to Butler Supply and our dedicated electricians for their generosity! CHRISTMAS IN ST. LOUIS is a new book from Reedy Press, with text by Dr. John Oldani, and photography by me! I can autograph and send you a copy: click the Paypal button below. For alternative payment options, please send me a message or call — my contact information is off the right on the sidebar. Both Dr. Oldani and myself are available for speaking engagements and interviews. Keep up-to-date by liking the book’s page on Facebook. ST. LOUIS, MO — Christmas in St. Louis is a special time in a special place. As you’ll discover in the pages of this festive pictorial book, the Gateway City goes all-out to celebrate the season. 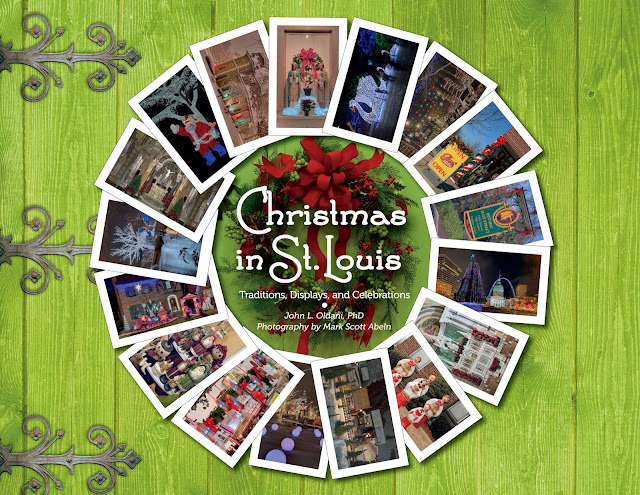 Folklorist and professor Dr. John L. Oldani and photographer Mark S. Abeln have created a living album of Christmas wonders in Christmas in St. Louis: Traditions, Displays, and Celebrations (Reedy Press). Learn how traditions developed and shifted throughout the decades, from the iconic and nostalgic downtown department store windows to the millions of light displays all over the metro region. Along the way, the book captures the international flavor of Christmas in Main Street St. Charles, the remarkable residential displays of St. Louis Hills, the one million lights of Tilles Park, the dazzling, mile-and-a-half drive at Our Lady of the Snows, and myriad other traditions that have come to define a St. Louis Christmas. Dr. John L. Oldani, a St. Louis native, has been a professor of American Studies and folklore at American and international universities. He has authored five books on American folklore. 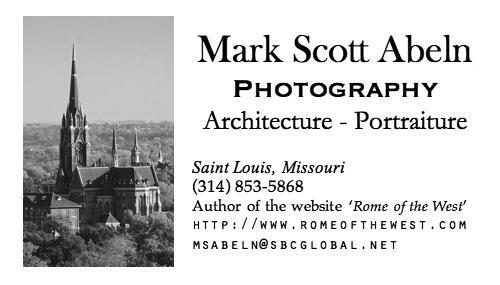 Mark S. Abeln has been taking photography seriously since 2005. 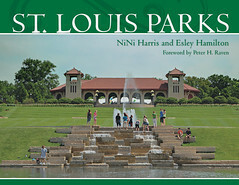 His work has appeared in numerous books on St. Louis. Christmas in St. Louis is available wherever books are sold. 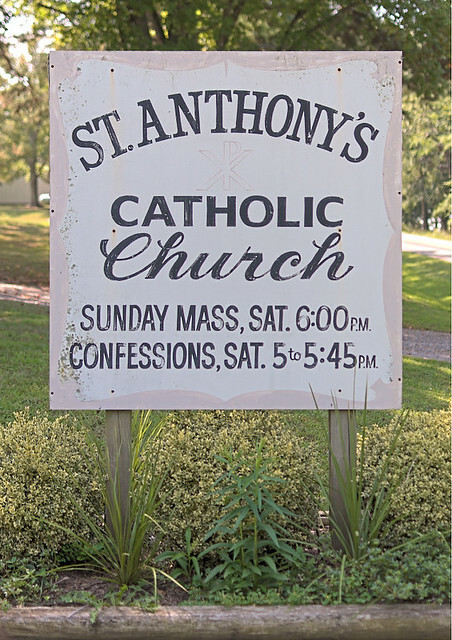 HERE ARE PHOTOS of Saint Anthony Church, located in the southeastern Missouri town of Glennon, in Bollinger County. The church is a mission of the Diocese of Springfield-Cape Girardeau, and is 140 highway miles south of downtown Saint Louis. 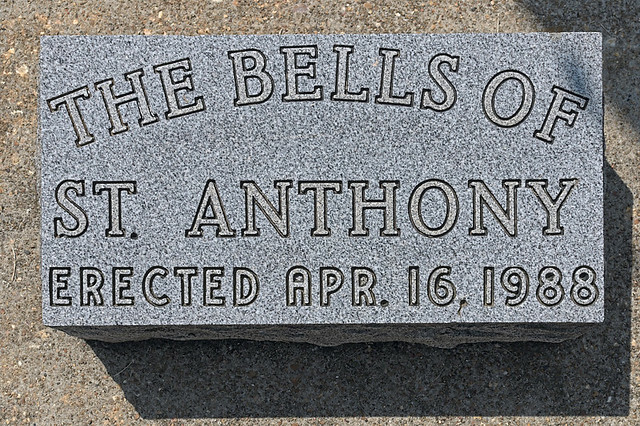 Anthony is the second-fastest canonized Saint in history and is a Doctor of the Church. Despite being Catholic for over 10 years, I still have very much of a Protestant sensibility. 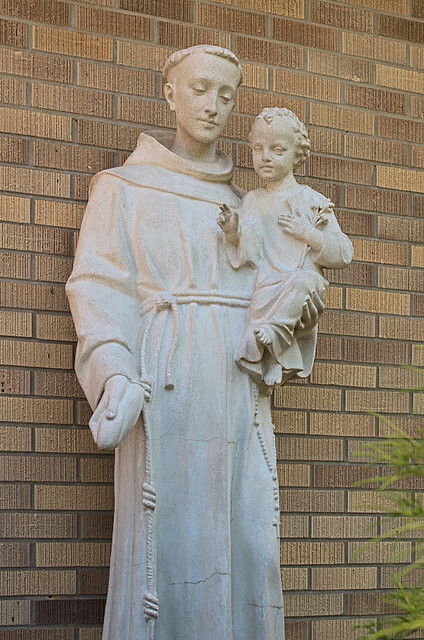 Saint Anthony is commonly prayed to for finding lost items; while I do not reject the practice of asking for the intercession of Saints in all good things (see Rev. 5:8), I still have a lingering fear that this particular lowly task might be beneath such a great Saint known for his preaching. 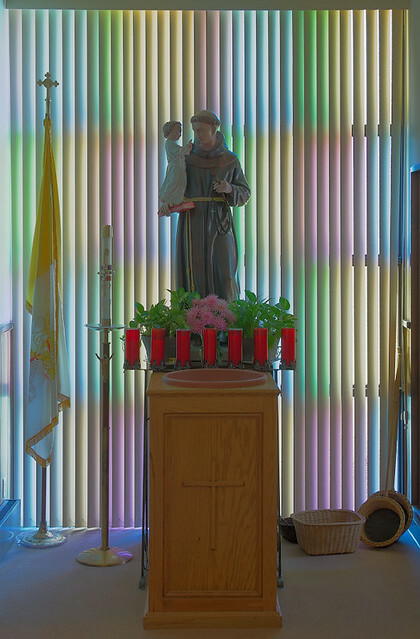 Now, I had spent days searching for a tax receipt, and in my great frustration, I finally overcame my prejudice, and offered up to Saint Anthony a quick prayer for intercession. Within seconds, I found the receipt in the first place I looked. Deo gratias. 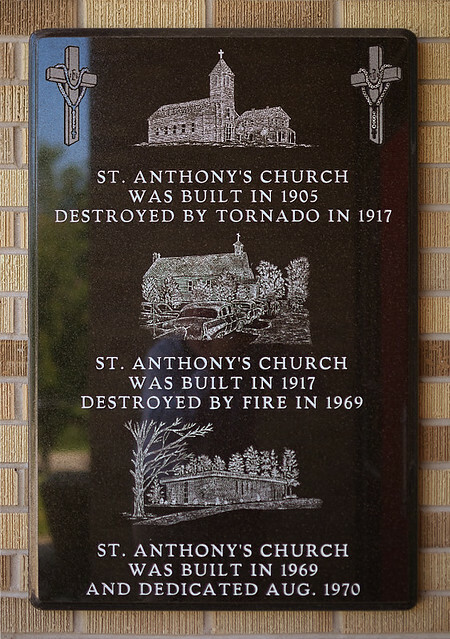 A history of the devastating 1917 tornado can be found here. 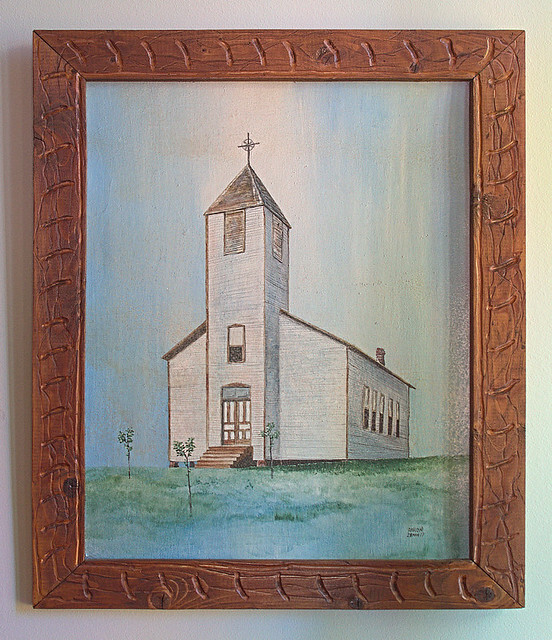 A painting of the first church, found in the narthex. 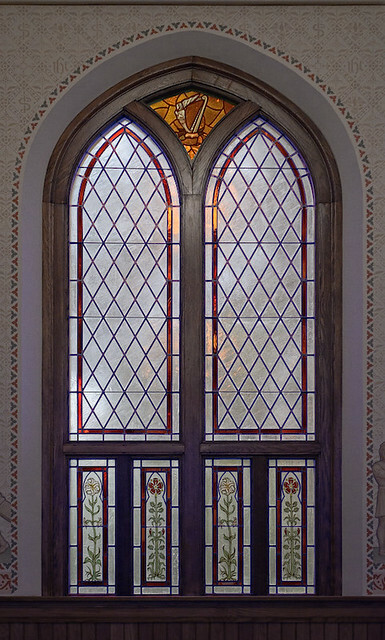 This design is typical of many country churches in this region. The community of Glennon was named after Archbishop John Joseph Glennon, and was originally in the Archdiocese of Saint Louis. 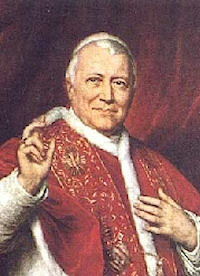 Another Catholic settlement in Missouri is named Glennonville, after the same Cardinal. If all the polar icecaps in the world were to melt, Glennon would be oceanfront property. It sits on the very edge of the Ozark plateau, right at the head of the vast, low-lying Mississippi Alluvial Plain, which extends hundreds of miles southward to the Gulf of Mexico. This is a small church, typical of its time; I like the decoration. Normally, I take photos of the nave along the central aisle, but the lighting fixtures above the aisle got in the way of the Crucifix, leading me to take a photo at an angle. Perhaps I neglected to photograph Saint Joseph here? These photos are best viewed at larger resolution, which you can see by clicking on the photos. 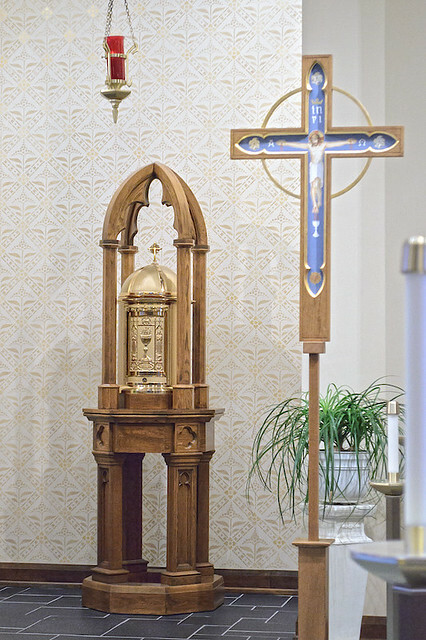 The Crucifix, Tabernacle, and Altar, the cause of our salvation. Devotion to the Blessed Virgin. Aren’t the flowers good? Baptismal font and another statue of Saint Anthony with the Christ Child. 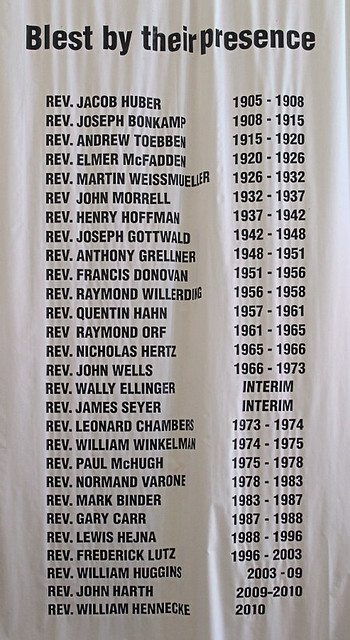 A list of the priests of the parish hangs near the entrance. Many German and Irish surnames here. 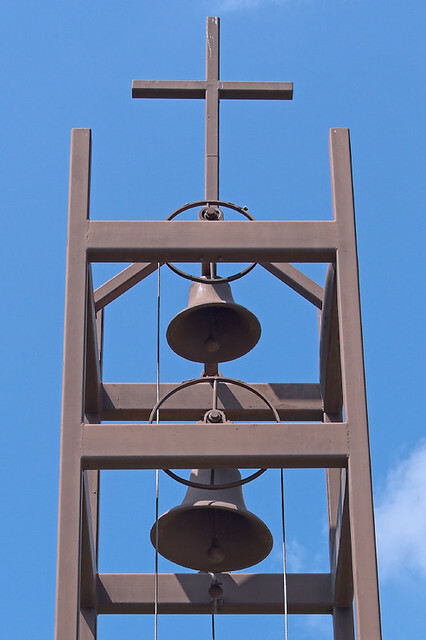 A view of the church’s bell tower. 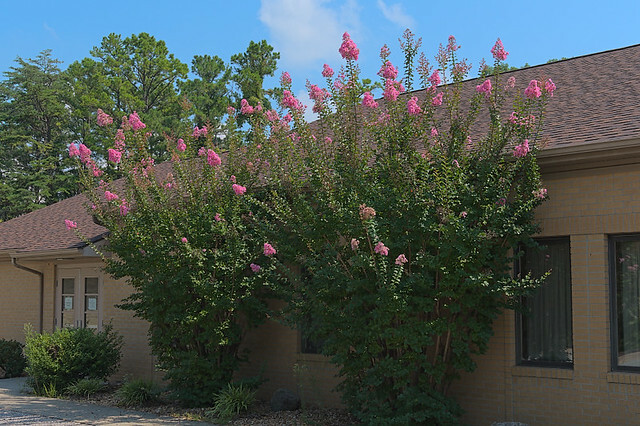 Tall blooming bushes by the church hall. I took these photos in August. Click here for a map of the church. 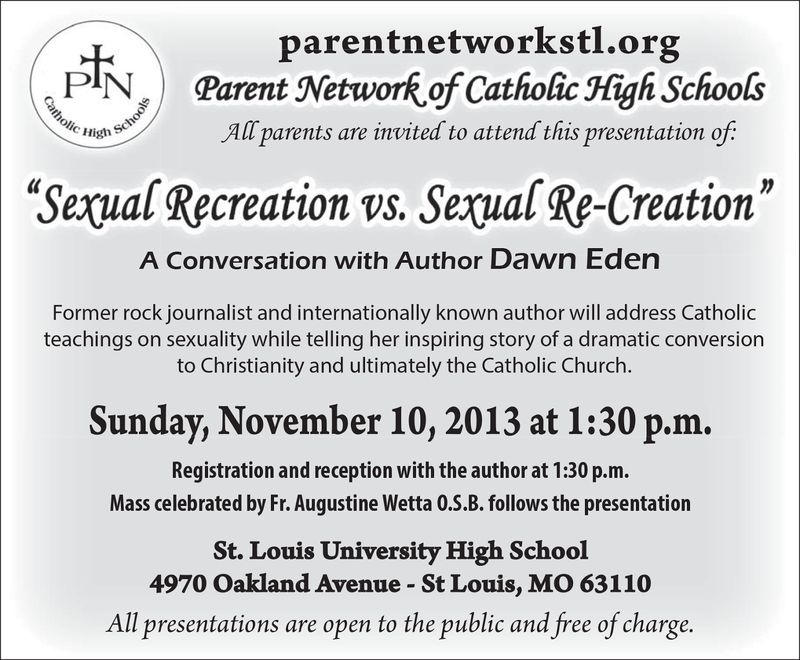 DAWN EDEN, known for her books The Thrill of the Chaste and My Peace I Give You: Healing Sexual Wounds with the Help of the Saints, will be speaking at the St. Louis University High School, on Sunday, November 10th, 2013 at 1:30 p.m. Her talk will be followed by Holy Mass offered by Fr. Augustine Wetta, O.S.B. 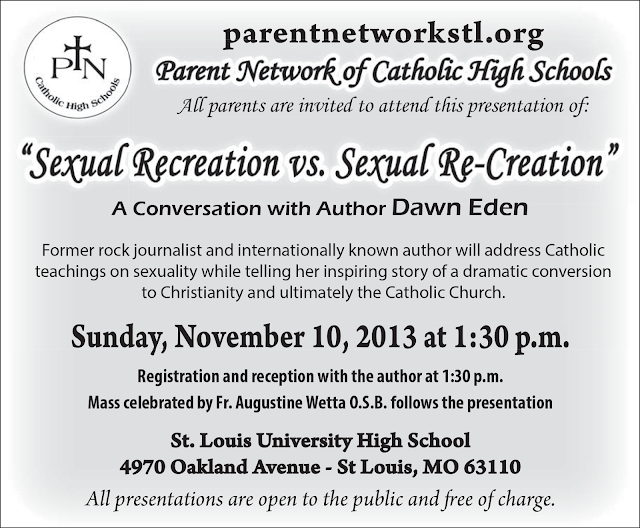 This talk is intended for parents. A recent talk by Miss Eden, “What the Saints Can Teach Us About Purification of Memory”, can be found here. The Seminary Society Breakfast will take place after all Masses this Sunday. It has become an annual festivity you don’t want to miss. Come and see! In addition to the usual hearty breakfast and 50/50 raffle with wonderful prizes, you and your family will be treated to a joyful video from Gricigliano – produced especially for us. Familiar faces and a familiar narrator will guide us on a tour of Seminary life. 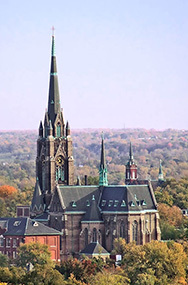 We can safely say that the Oratory has the privilege to see the most current activities at the Seminary – thanks to our special connection to many seminarians who have been candidates here. Thanks to the tireless efforts of Mrs. Hayworth for her organization of this event, everyone will again have the opportunity to be paired with a seminarian in prayer. The Seminary in Gricigliano now can accommodate 71 seminarians, thanks to the recent restoration work made possible by donations from the faithful. This, and the fact that one third of the 85 seminarians are from North America are evidence of your generous support - by prayer and by sacrifice. You are in the prayers of the seminarians every day. Please keep them in yours! A highlight of the Advent Season, the Gaudete Benefit Gala has become an annual tradition of fine food and music that you won’t want to miss! The evening features an elegant dinner as well as live performances of the Oratory’s various music ensembles under the direction of Mr. Nick Botkins, the Oratory’s Director of Sacred Music. Performance highlights of the 2013 Gaudete Benefit Gala include movements of Vivaldi’s popular Gloria, as well as Gustav Holst’s charming collection of traditional carols – Christmas Day. 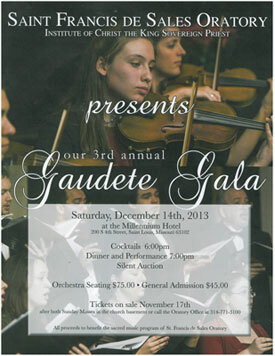 The Gaudete Benefit Gala supports the Oratory’s continually growing Sacred Music Program. 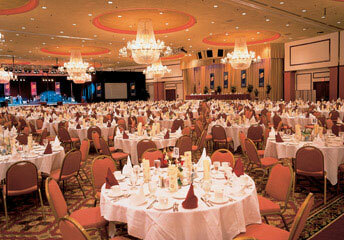 This year’s venue is the magnificent Grand Ballroom at the Millennium Hotel in downtown Saint Louis. Mark your calendar and plan to buy your tickets early, they won’t last long! Gala Tickets are available for purchase by calling the Oratory office (314) 771-3100, or after the Sunday Masses starting November 17th through December 8th. $45 per ticket or $75 (Orchestra Seating). Rarely does the Church allow a priest to celebrate three Masses in one day, but All Souls' is one of those occasions. This special permission clearly underscores the importance of praying for the dead, and the Church’s care for the faithful departed. After all, wouldn’t you – and everyone living today – wish that many, in fact the whole Church, pray for your salvation? Our age is marked by an exceptional self-centeredness of man – above all because we don’t believe enough in the transcendent dimension of our existence as man: in the immortal nature of our souls and in the eternal life beyond the here and now. For the Holy Souls who are destined to see the face of God, Purgatory is a reality – “for nothing unclean shall enter heaven” (Rev. 21:27). 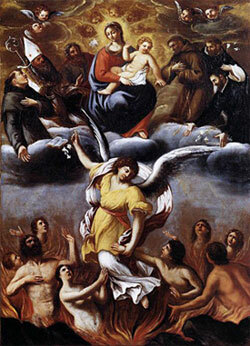 While faith teaches us the existence of Purgatory, it also teaches that we are able to help them, thus it is a matter of charity and hope that we offer Masses on this day, and as many prayers as we are able for the Poor Souls. 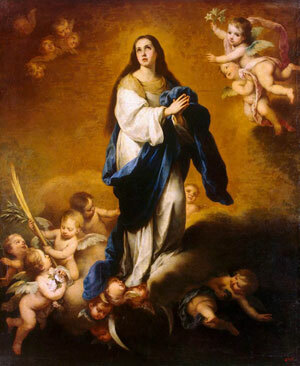 Starting on November 30 we will pray a Novena in preparation of the feast of the Immaculate Conception. 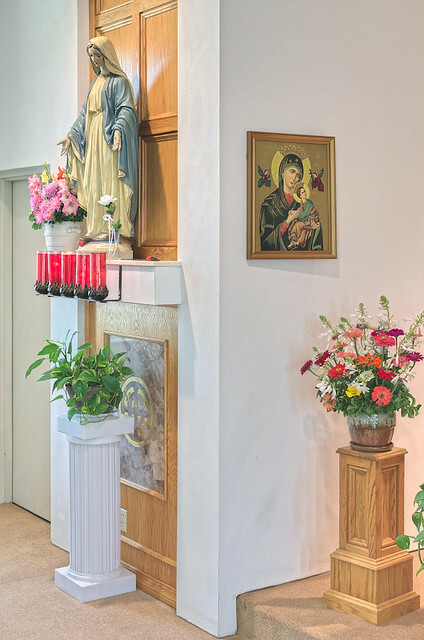 Daily Masses with sermons pronounced by different guest homilists and canons of the Institute, novena prayers and processions will help us to approach this important feast of Church’s calendar. Among this year’s guest homilists are: Rev. Father Randy Soto, Associate Professor of Sacred Scripture at Kenrick-Glennon Seminary, Rev. Father Brian Harrison, OS, Chaplain at St. Mary of Victories Chapel, Rev. Canons Avis and Ueda. Since late August the Institute received three young men into its candidates program at Saint Francis de Sales Oratory. As in the other houses of pre-formation in the United States Mr. Nicholas Phillips, Mr. Aaron Pribil, and Mr. David Le are spending one year in St. Louis to be immersed in the spiritual life of the Institute-family, to learn French, the language primarily spoken at the seminary in Gricgliano, Latin as well as to study Gregorian Chant. 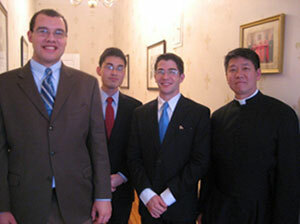 Please pray for these young men and their prefect, Canon Raphael Ueda, Vicar at the Oratory. Looking forward to seeing you all at the Seminary Society Breakfast this coming Sunday. Attention: There will be no excuse for not attending since you all will be able to sleep one hour longer than usual: Day Light Savings Time will end this weekend. Please make sure that you set back your clocks by one hour Saturday night before retiring.